The VCC supports a complete suite of real-time analytics, providing core metrics and KPIs to follow engagement and conversion metrics that stem from shoppable video experiences. A few of these metrics include Revenue per Video, Revenue per View, Revenue per Ambassador, Video Conversion Rate, Video Average Order Value, Video View-through Rate, and others. Compare your results from shoppable video experiences to your existing experiences. The lift expected from such engagement is significant. Separately, the VCC covers full monetary settlement with all ambassadors. Measure all sales from an On-Social Ambassador Video Marketing Program, providing for the complete settlement and reporting for all commission to ambassadors. Unlike traditional affiliate marketing, the VCC is able to measure sales resulting from actual engagement with the content, not just a click on a link to the product page. This ensures that actual engagement is captured as part of the funnel, whether or not the shopper arrived at the cart from a different path after engaging with ambassador content. 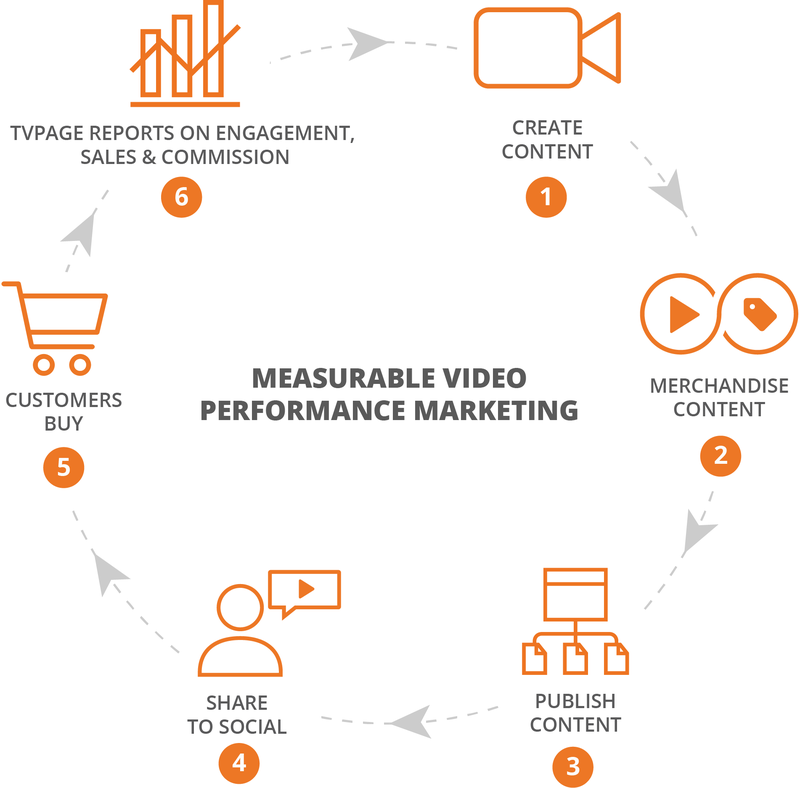 Traditional affiliate networks are unable to measure and follow this complete engagement cycle as they do not serve the actual video shopping experience. It is vital to ensure that sales from content are measured holistically and accurately when deploying any content-driven performance marketing program. 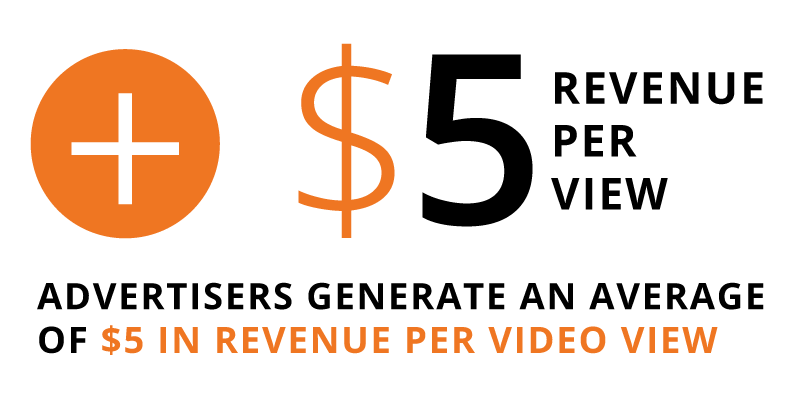 On average, merchants generate over $5 in revenue per view from video on their site. This data was derived from a study ran by TVPage across multiple clients in different verticals during a 6-month period.